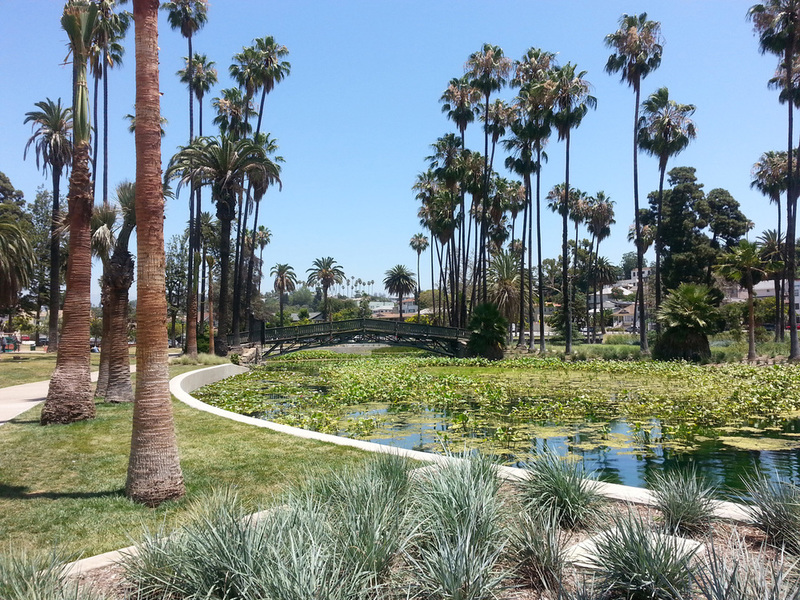 Completely rehabilitated for the first time in its 120-year history, iconic Echo Park Lake now gracefully balances stormwater treatment, recreation, habitat, history, and sustainability. 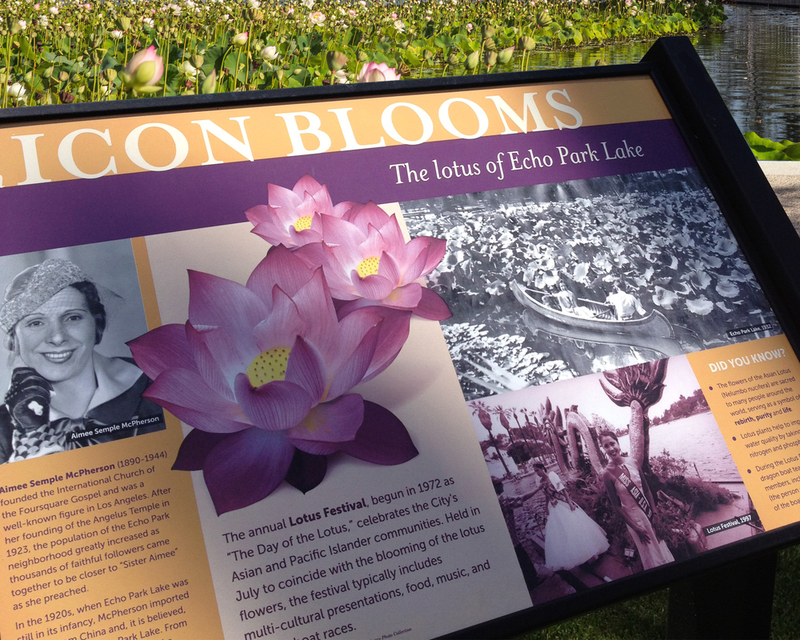 The project incorporated constructed wetlands, lotus planting, educational signage, and new porous pathways, lighting, furnishings, and planting. 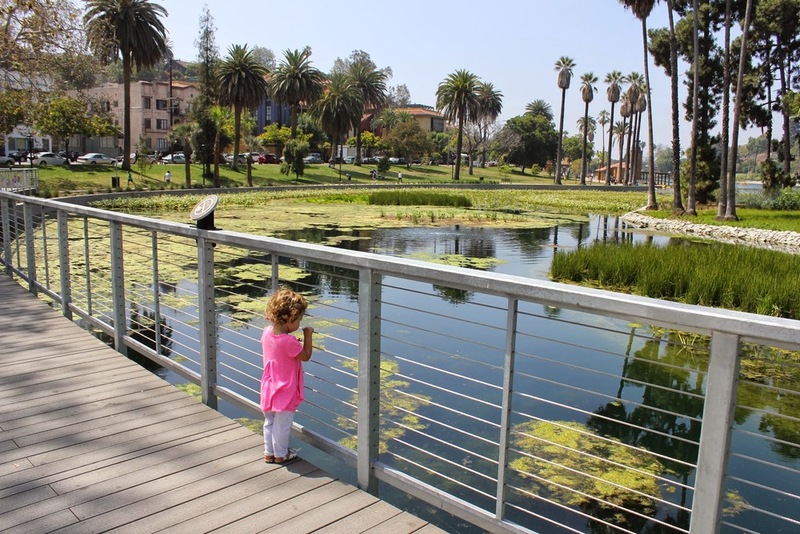 Josh Segal led the landscape architecture scope of the six-year rehabilitation project from public outreach through construction, and Julia Shuart lent her design talents to the concept, construction documentation, and signage components of the project.